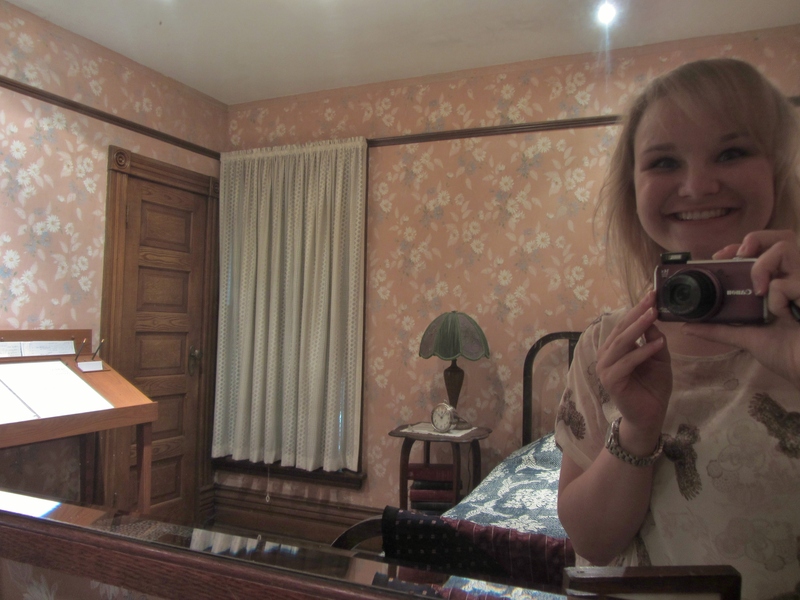 When I tell my family and friends that I am the museum intern at Banting House National Historic Site of Canada one of the first questions I am asked is, “So, what do you actually do?” I have learned that many people are genuinely curious in the ‘behind the scenes’ life at a museum. Explanations about what keeps us busy, where the secret staircases lead to, and a mysterious ghost story or two always catch the attention of our young visitors. Pictures are allowed in the museum, but not flash! hypothesis came to him in the middle of the night on October 31, 1920. My morning always begins with a chat with Grant Maltman, curator of Banting House NHSC. We discuss what projects have priority for that day and any future events we need to prepare for. We recently hosted Our Man on the Moon, an evening made possible by the Royal Astronomical Society of Canada: London Centre and the Department of Physics and Astronomy from Western University. On Monday, July 15, 2013 we welcomed families and friends to Sir Frederick G. Banting Square where we viewed the lunar crater named in honour of Dr. Banting from his former home. Many people were surprised to learn the name Banting is out of this world, literally! Currently sitting on my desk are projects that need to be completed in the next day or two. A summer scavenger hunt through our museum is nearly finished! Kids of all ages will enjoy reading through clues and finding the answers during their visit. I am also tweaking a ‘Facilities for Special Events’ brochure. I never knew the upstairs boardroom, garden, and first floor galleries were available to be rented out for special events. Those projects (and this blog post!) will keep me busy for the rest of my morning. an empty desk a sign?” Wise words from Albert Einstein. I am reminded when it is noon with the arrival of the Banting House NHSC tour guides. Between 12:00pm and 4:00pm every Tuesday to Saturday experienced volunteers offer visitors a guided tour through our exhibits. 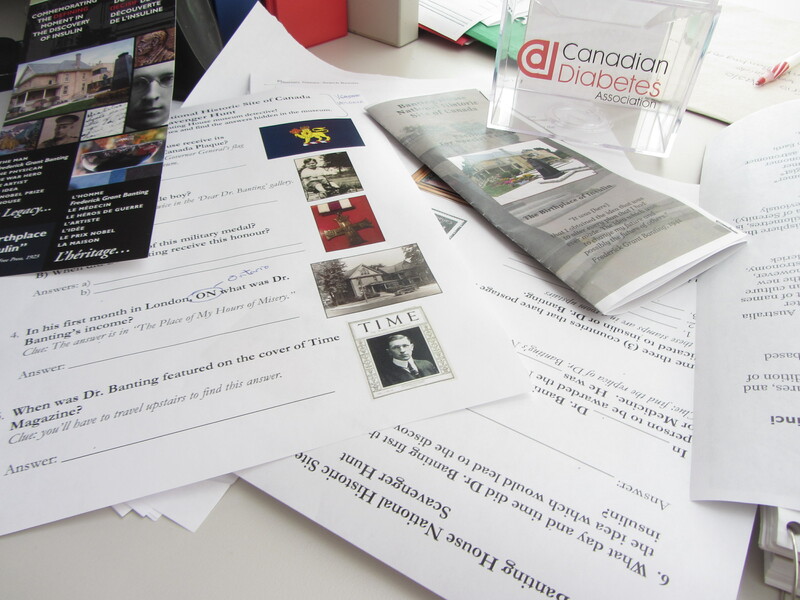 Each of these volunteers has come to Banting House NHSC for a variety of reasons, and offer visitors a unique perspective into Dr. Banting’s story – whether it be a historical perspective of his life, or a scientific understanding of the development of insulin. 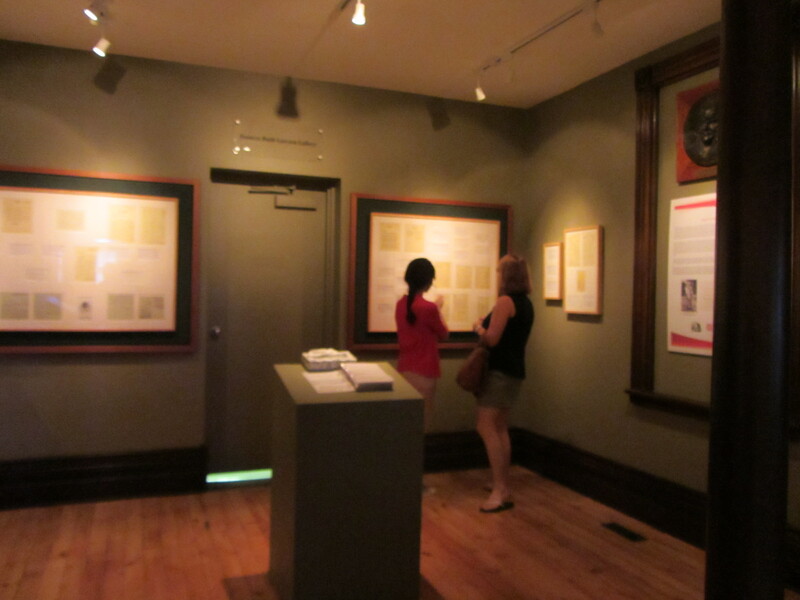 explaining the ‘Dear Dr. Banting exhibit to a visitor. I must confess that my favourite days are the ones where we welcome so many visitors through our doors that I am pulled away from behind my desk to help give tours. Our tours are roughly fifty minutes, but will often run over depending on the amount of questions I am asked. I love getting to know our visitors, learning where they are from, and what has brought them to Dr. Banting’s former home. At 4:00pm we close our doors to the public for another day, and look forward to the visitors we will welcome to our museum tomorrow. Posted in Museum Happenings and Events.Tagged Banting, Events, Museums, tours, Volunteers.